Suspects in an electrocution case have fled the Malir court after it rejected the interim bail of nine senior K-Electric officials. 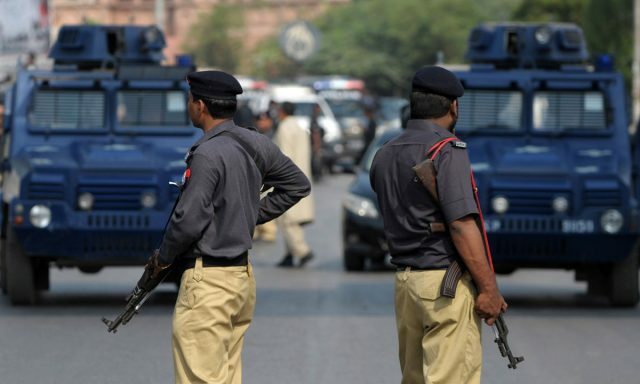 Among the suspects are general manager Riaz Ahmed Nitani, deputy commissioner Krishnamenton, deputy general manager Ahmed Sheikh, incharge Imran Aslam and director general Saqib Abbas. During the hearing, the court said that since the case is still in the initial investigation stage, it couldn’t grant interim bail to the officials. Even though there were a lot of police officers at the hearing, the suspects managed to escape. Now the police are waiting for permission to arrest the suspects. An FIR was registered on Friday against K-Electric after an eight-year-old boy lost both his arms. They had to be amputated because he sustained severe burns after an 11,000 kilovolt high tension wire fell on him in Ahsanabad on August 25. His wounds were so severe that the doctors had to amputate both arms to save his life. The FIR was registered upon the boy’s father’s complaint.